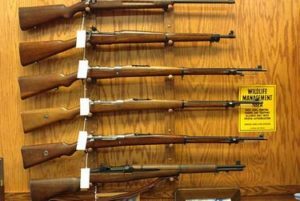 Here at Chuck’s Firearms you will find unique vintage items that you will not see elsewhere. Our years of experience and extensive contacts allow us to bring you quality items that are rarely seen. Tired of seeing the same items over and over again? Looking for something in particular? Stop by and check out our selection..